This entry was posted in Los Angeles, poetry, READING, the WOMEN group and tagged Los Angeles, poetry, poetry reading, the WOMEN group by the WOMEN group. Bookmark the permalink. 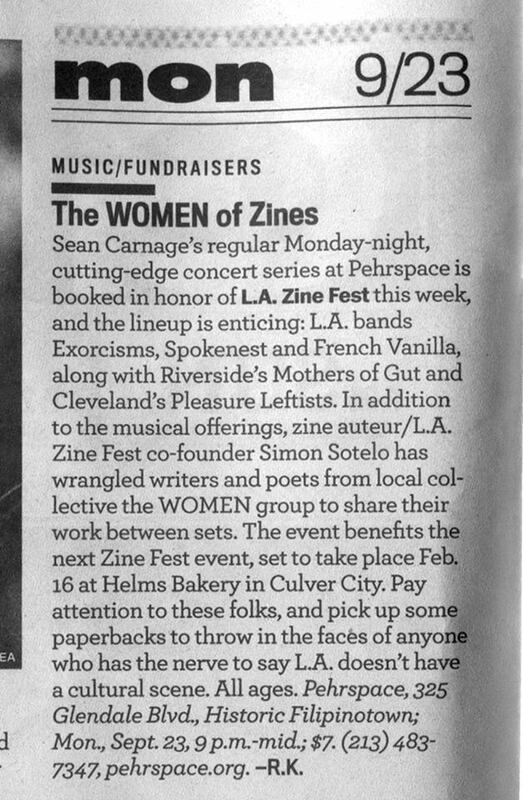 press on the WOMEN group in LA Weekly for LA Zine Fest fundraiser. I have poems in the first three issues of the WOMEN group. they are in distributed at LA book stores. You should visit the blog.